If you have not yet heard of the Yike Bike, do take a look at this interesting and innovative design in a personal portable transportation system. Quite amazing! From Down Under! A friend of mine has asked for some sponsors for charity, Johns Hopkins Children's Center. This is one of the most worthy charities, that do much good, to help the kids who need it most. Feel free to donate anything you can. To donate, us this link. DUH, part 2. Apparently the lies and deceit are so huge they can no longer be covered up. I told a story here once, about a grade school experiment. Our teacher told us to go fetch a big glass of snow, and wanted to know our estimates on where the water would be when the ice melted. To our dismay the ice/water level dropped after the thaw to almost 1/6 of the original volume. We understood that evaporation would also effect the volume, but the results were stunning. Snow and ice expand when frozen, and shrink when thawed, that is undebatable. Why then do "scientists" claim that when the polar caps melt, seas will rise. Just because seas are on the land as glaciers, I still propose they are wrong, and seas will shrink. Internal Toyota documents derided the Obama administration and Democratic Congress as “activist” and “not industry friendly," a revelation that comes days before the giant automaker's top executives testify on Capitol Hill amid a giant recall. According to a presentation obtained under subpoena by the House Oversight and Government Relations committee, Toyota referred to the “changing political environment” as one of its main challenges and anticipated a "more challenging regulatory" environment under the Obama administration's purview. New Jersey Governor willing to do what is right! Chris Christie, a bold and brave Governor, if there ever was one, addresses the deficit of his state, and the reckless spending from previous administrations. This is how the President should fix things, but he can not, and will not. New Jersey is lucky to have this guy! George Washington's Birthday Celebration and why! 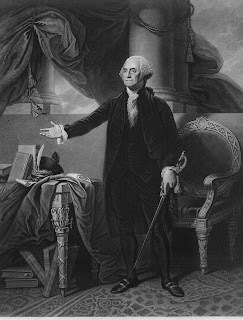 In this article from the Heritage Foundation, we learn why George Washington's birthday is so important on the 3rd Monday in February, as it has been, will continue to be observed and worth remembering. Washington wrote extensively and eloquently about the principles and purposes of the American Founding. He was a champion of religious freedom, of immigration, and of the rule of law. His most significant legacy is his Farewell Address of 1796, which ranks with the Declaration of Independence and the Constitution as one of the greatest documents of the Founding. The Farewell Address is best remembered for its counsel about international affairs: Washington recommended commercial relations with other nations but as few political entanglements as possible. Send a FOX TV Valentine! Included are images of your fav animated Fox buddies, from Family Guy, American Dad, Simpsons. Sure to be a hit with your valentine. Global Warming Responsible for Large Snowstorms!!! Come one now, this is Radical Environmentalism at work. Flynn Files demonstrates the absurdity of the NY Times claim by "educated" people that insist Global Warming causes bigger snow storms. Anecdotal evidence such as a heat wave is proof of the doctrines of the Church of Global Warming to its congregants. A Blizzard, strangely, is too. The New York Times today explains, "Most climate scientists respond that the ferocious storms are consistent with forecasts that a heating planet will produce more frequent and more intense weather events." Most people, thankfully, are not that stupid yet. Many users of Windows XP are experiencing a critical error in Windows, due to a new patch issued by Microsoft. The solution is below for this who recently patched the system and currently get the BSOD (Blue Screen of Death). IMPORTANT: If you are able to uninstall the patch and get back into Windows, in order to stay protected you can use the following automated solution which secures your PC against the vulnerabilities that are resolved with KB977165 until you can successfully get the update installed without the blue screens. I also wanted to thank maxyimus for the great thread, and LThibx for their participation as well! Ronald Reagan, we need you back! If only we had a clear visionary like Reagan to guide us. Instead we have a spend and tax liberal taking us down the bankruptcy road to failure. "The danger to America is not Barack Obama but a citizenry capable of entrusting a man like him with the presidency. It will be easier to limit and undo the follies of an Obama presidency than to restore the necessary common sense and good judgment to a depraved electorate willing to have such a man for their president. The problem is much deeper and far more serious than Mr. Obama, who is a mere symptom of what ails us. Blaming the prince of the fools should not blind anyone to the vast confederacy of fools that made him their prince. 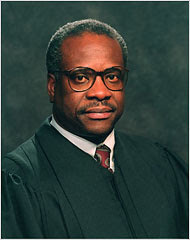 Justice Thomas on WHY Corporations do have 1st Amendment protection! Thanks God for clear thinkers, with reasoning! By a 5-to-4 vote, with Justice Thomas in the majority, the court ruled last month that corporations had a First Amendment right to spend money to support or oppose political candidates. I just returned from Haiti. We flew in at 3 AM Sunday to the scene of such incredible destruction on one side, and enormous ineptitude and criminal neglect on the other. - USAID, when in control of all inbound flights, had food and water flights stacked up all the way to Miami, yet allowed Geraldo Rivera, Anderson Cooper and a host of other left wing news puppies to land. - Pulled all the security off the rescue teams so that Bill Clinton and his wife could have the grand tour, whilst we sat unable to get to people trapped in the rubble. - Stacked enough food and water for the relief over at the side of the airfield then put a guard on it while we dehydrated and wouldn't release a drop of it to the rescuers. - No shower facilities to decontaminate after digging or moving corpses all day, except for the FEMA teams who brought their own shower and decon equipment, as well as air conditioned tents. - No latrine facilities, less digging a hole if you set up a shitter everyone was trying to use it. I watched a 25 year old Obamite with the USAID shrieking hysterically, berate a full bird colonel in the air force, because he countermanded her orders, whilst trying to unscrew the air pattern. " You don't know what your president wants! The military isn't in charge here we are!" If any of you are thinking of giving money to the Haitian relief, or to the UN don't waste your money. It will only go to further the goals of the French and the Liberal left. If we are a fair and even society, why is it that only white couples are adopting Haitian orphans. Where the hell is that vocal minority that is always screaming about the injustice of American society. Bad place, bad situation, but a perfect look at the new world order in action. New Orleans magnified a thousand times. Haiti doesn't need democracy, what Haiti needs is Papa Doc. That's not just my opinion , that is what virtually every Haitian we talked with said. "the French run, the UN treat us the same as when we were a colony", at least Papa Doc ran the country. Oh, and as a last slap in the face the last four of us had to take US AIRWAY's home from Phoenix. They slapped me with a 590 dollar baggage charge for the four of us. The girl at the counter was almost in tears because she couldn't give us a discount or she would lose her job. Pass that on to the flying public.